The Winter 2019 Session will feature twelve lecture series, two writing workshops, and two language workshops, which are listed below. Alternatively, you can also view a PDF version of the Winter 2019 brochure. Visit our registration page to register today. 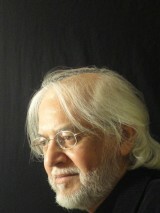 Lecturer biography: H. Masud Taj, award winning Adjunct Professor of Architecture at Carleton University, was mentored by the leading exponent of Islamic Architecture, Hassan Fathy in Egypt. He delivered the Keynote at the Second International Conference of Islamic Art and Architecture. Engaging the Other (Macmillan) featured his research in Spain, which was also showcased by Carleton University’s Faculty of Public Affairs and at Author Meets Readers: Ottawa International Writers Festival. 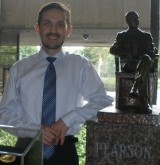 His books are archived in Carleton University’s Special Collections and one is inducted to the Library of Parliament. This lecture series is intended to challenge assumptions and encourage thinking in new and innovative ways about the Middle East. We will engage with six major issues that characterise international politics in the contemporary Middle East: globalisation; the Israel-Palestine conflict; oil, wealth and power in the Arab Gulf Monarchies, the Arab Spring; Iran and the West; and the Islamic State, terrorism and globalisation. Every week, each of the two hours will contain a lecture followed by a discussion. The first hour will provide a broad introduction to the topic, while the second hour will provide a narrower argument, based on original ideas and cutting-edge research. Lecture series outline – coming soon! Lecturer biography: Dr. Philip Leech-Ngo is a senior fellow at the Centre on Governance at the University of Ottawa. He was the Gordon F. Henderson Post-doctoral Fellow (2016-2017) at the Human Rights Research and Education Centre at the University of Ottawa. He is the author of The State of Palestine: A Critical Analysis (Routledge, 2016) and the co-editor of Political Identities and Popular Uprisings in the Middle East (Rowman and Littlefield International, 2016). Leech-Ngo has taught at both graduate and undergraduate levels at the Universities of New Brunswick, Liverpool, Plymouth and Exeter. His recent consultancy work has included two research reports on the Palestinian Economy for Christian Aid, a project on corruption in the Middle East for Transparency International, and designing a course on Conflict Management for the Royal Military College of Canada. This lecture series is an introduction to the history of financial crises. This isn’t a class about number crunching and hard graphics to decipher. No economic or mathematical background is required. We will explore the main economic theories underlying capitalism, and how capitalism survived dangerous financial crises throughout history. This lecture series will cover the classical Adam Smith school of economics to modern economic approaches. We will examine five main financial crises, from 1792 to the most recent one in 2008. Reflections about the future of capitalism will be explored and discussed as well. Lecturer biography: Monia Mazigh is an academic, author and human rights advocate. She was the former National Coordinator of the International Civil Liberties Monitoring Group. Mazigh was born and raised in Tunisia and immigrated to Canada in 1991. She was catapulted onto the public stage in 2002 when her husband, Maher Arar, was deported to Syria where he was tortured and held without charge for over a year. She campaigned tirelessly for his release. Mazigh holds a PhD in finance from McGill University. In 2008, she published a memoir about her pursuit of justice, Hope and Despair, shortlisted for the Ottawa Book Award. In 2014, she published her first novel, Mirrors and Mirages. It was short listed for the Book Trillium Award and for the Ottawa Book Award. Her second novel, Hope Has Two Daughters, was published in January 2017 by Anansi House. She writes in her blog at moniamazigh.com. Read what LinR participants have said about this series. This lecture series will look at the genre that is generally referred to as jazz, from the roots of its inception and creation, through to the present day. The sociological context that facilitated the birth of this music will be considered in depth. The slave trade, cultural influence and appropriation, and socioeconomic factors will be explored in relation to various significant works and artists over time. The lives of major artists will be examined for their artistic inspiration, vision, and influence. Recorded audio and video examples will be played for examination and discussion, and some live performances will also be featured. Various jazz-related genres and pieces will also be considered; jazz in Ottawa will be referenced regularly. Lecturer biography: Dave Schroeder is a bassist, guitarist, composer, and educator based in Ottawa, Canada. After completing his Bachelor of Music Honours degree in 2004, Dave was awarded a Senate Medal from Carleton University. In 2005, he began studying at the graduate level at the University of Manitoba. In 2006, Dave relocated to Florida to study at the world-renowned University of Miami. He completed a Master of Music degree in Jazz Performance in 2008 and was awarded a full scholarship to pursue Doctoral studies. In 2011, Dave received a Doctor of Musical Arts degree from the University of Miami, becoming the only Canadian electric bassist ever to attain this honour. He has also spent time studying at Berklee College of Music. In 2009, Dave received a Downbeat Magazine Student Music Award for his work with The University of Miami Funk-Fusion Ensemble. In 2015 the Beeched Wailers released their debut album with Dave on bass, and in 2017 Dave played on the album “Shades of Brazil” by Grammy nominated L.A. based vocalist Jelsa Paleo. His latest release came in 2018, a jazz fusion project with Wayne Eagles on guitar and Boston area drummer Lee Fish. Dave currently teaches music history and theory at Carleton University, and is very active as an in-demand session bassist and guitarist. Read what LinR participants have said about this series. 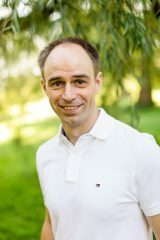 Lecturer biography: Dr. Marcel Jesenský is a specialist on the United Nations, international relations, diplomacy and European history. He holds a PhD in History (University of Ottawa). His book The Slovak-Polish Border, 1918-1947 (Palgrave Macmillan, 2014) chronicles the legacy of the 1919 Paris Peace Conference. He is teaching at the University of Ottawa and Carleton University, and his current research focuses on the history of the United Nations after 1945. Physics is the way we describe the basic building blocks of the world around us. The twentieth century has brought new technologies and information that have led to new ways of describing physical phenomena. Recent experimental results demonstrating gravity waves, dark matter and Higgs boson have focused attention once again on the amazing developments of physics in the last century. These lectures will examine the ideas that form the foundation of modern physics, from relativity through quantum mechanics, to particle physics, cosmology and dark matter. The lectures will discuss concepts of science and are aimed at the interested participant; previous knowledge of physics is not required. Lecturer biography: Dr. Alan Mortimer graduated from Carleton University (MSc in Medical Physics) and Guy’s Hospital Medical School, London, England (PhD in Medicine). He joined the research staff of the National Research Council of Canada in 1975, specializing in medical ultrasound. In 1986 he moved to the Canadian Space Agency, and became Chief Scientist, Life and Microgravity Sciences in 1989, responsible for all life sciences and physical sciences research. 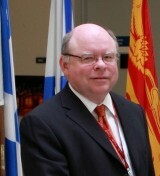 Dr. Mortimer accepted the position of Director of the Centre for Biologics Research, Health Canada (later the Centre for Vaccines Evaluation) in 2002. Here he was responsible for all research in biologic therapies as well as the approval and testing of all vaccines provided to Canadians. He currently is a consultant providing strategic advice to several government departments. This six-week series will help you to navigate the mysteries of the art world, and develop your knowledge, appreciation and comfort level when viewing and discussing art. Each week we will gather together at the Gallery to view artworks from the collection. There will be a different theme every week: landscape art; portraiture; representations of history and historical figures; still lifes and symbolism; photography; and modern/contemporary art. Lectures and discussions will take place in front of selected works in the Gallery’s collection, including in the special exhibition: “Oscar G. Rejlander: Artist Photographer”. Note: Meet at the National Gallery front entrance. Lecturer biography: Maria Martin has studied and worked in the Arts for many years. She holds a Master’s Degree in the History of Art from Queen’s, and a Bachelor’s Degree in Art History from Carleton University. 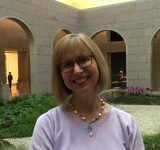 Currently a manager with the Federal Government, Maria previously worked at the Canada Council for the Arts as an Art Consultant at the Council’s Art Bank, and as an Education Officer and Guide at the National Gallery of Canada. This lecture series will give an overview of some of the most popular musical genres from the 1940s to the 1970s. We will cover the history of this music, including the main figures, important recordings, and the musical features of each style. The cultural importance and impact of this music will also be discussed, including the overlap between these genres, and the ways in which one genre influenced another. From Muddy Waters and Marvin Gaye, to Aretha Franklin and James Brown, this class will be an exciting musical journey. Lecturer biography: With an M.A. in Music and Culture, and over twenty years’ experience as a musician, Keith McCuaig is dedicated to all things music and art. He loves exploring the histories of popular music, especially the interconnectedness of genres, and the socio-cultural significance of music. Keith has extensive experience in researching, writing and teaching a variety of music-related topics; he has taught courses through Carleton University and the University of Ottawa, and presented at international musicology conferences. From performing, writing, and recording, to lecturing, giving music lessons, and working with community music programs, Keith’s life and passion is music. Read what LinR participants have said about this series. Have you ever wondered what makes certain spaces feel sacred, or pondered whether we in today’s secular Western society still need such spaces? Should edifices dedicated to existential and metaphysical contemplation be perceived and preserved primarily as artefacts of quaint but irrelevant world views? Or can they in some sense be said to actually complete the human habitat? This lecture series explores such questions by taking a non-denominational and interdisciplinary look at how we make and unmake sacred space, and the meanings we attach to sacred architecture. We will also explore the implications of those meanings for the continued relevance of sacred architecture. Lecturer biography: Marie Clausén is the author of Sacred Architecture in a Secular Age: Anamnesis of Durham Cathedral (Routledge 2016/2017). She holds Bachelor’s degrees in Political Science, Sociology, and Art History, and Master’s degrees in International Relations (University of Reading) and Art History (Uppsala University). Her present academic interests include medieval church architecture, existential and phenomenological approaches to space, cultural heritage philosophies and policies (especially as applied to sacred architecture), and the forgotten practice of ekphrastic writing. She is currently researching the medieval churchscape of Norfolk, England, a region that boasts the highest density of medieval churches north of the Alps. Aside from her academic pursuits, Marie is a published poet, and has spent eighteen years in the academic book publishing industry on both sides of the Atlantic in a variety of editorial and other roles. Born in Finland, she has also lived in Sweden, France, Japan and the UK, as well as enjoyed extended stays at academic institutes in Rome and Athens. Her current residence is in Ottawa, Canada, where she can often be seen running or biking along the canal. Classic dystopia fiction sought to comment on its own era’s problems by mirroring these issues in “fantastic” tales of the future. Going beyond its origins in pulp stories, dystopia fiction has evolved into a respected genre that analyzes global problems such as disease pandemics, environmental climate change, and political, social and economic turmoil. Developing out of classic 19th century science fiction–the horrifying tales of Mary Shelley and Edgar Allen Poe, and the later, more hopeful visions of Verne and Wells–dystopia fiction developed into a unique genre all its own. We will consider the recoccuring scenarios and character types of dystopia fiction, as well as the purpose of contemporary dystopia fiction and its possible future. Examples will include Stephen King, Octavia Butler, Elizabeth Bear, and James Howard Kunstler among others. 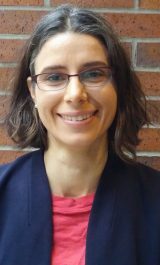 Lecturer biography: Stefani Nielson studied undergraduate literature and publishing at Simon Fraser University in Burnaby, B.C. After working with a Vancouver non-fiction publisher, she subsequently taught writing courses while completing an MA in American Literature at Pennsylvania State University, researching for the Ernest Hemingway Collected Letters Project. After moving to Ottawa in 2006, Stefani completed an MA in Modern Philosophy and Cultural Issues. Stefani has worked as a freelance editor and writer for local publications. 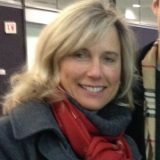 From 2014 to 2016, Stefani lectured for Carleton’s Learning in Retirement program and the University of Ottawa’s Continuing Education program on such topics as travel writing, 20th century American fiction and detective fiction. Stefani currently works with the Government of Canada as a technical writer and training adviser for technology projects. She enjoys films and gardening. Read what LinR participants have said about this series. This series will interpret the sometimes puzzling art styles of the modern western world. Confusing compositions and vocabulary will be explained through a study of popular artistic approaches from the last 130 years. Each week we will address one or two styles, examining why each was created and what its contribution was. The series is concept-based and will progress in a semi-linear way through the two major movements of modernism and postmodernism. Participants will come away with a broad understanding of artists’ ideas; whether they find the artworks aesthetically appealing is entirely up to them! Lecturer biography: Adriane Aboud is an art history teacher at Heritage College. She received a Bachelor’s degree in History and Art History from McGill University in Montreal, and a Master’s degree in Art History from the University of Nottingham in England. She lived in Europe for two years during which time she traveled extensively. Upon her return to Canada she briefly took a job at the National Gallery of Canada before accepting her current post as a CEGEP teacher in Gatineau. We all have a story to tell. However, knowing where to begin can become so overwhelming that we put off writing the story at all. This is an invitation to re-collect, record and share the stories from your life through the lens of “others”. How have your ancestors and family members played a role in who you are and why you do what you do? How have your professional relationships, your personal relationships and the people you only knew in passing figured in your life story? Please bring your own writing instruments to a safe environment where you will experiment with writing strategies using prompts, share your writing with others, and begin your collection of life stories. Writing workshop outline – coming soon! Lecturer biography: Dr. Anna Rumin is a native Montrealer, whose identity has been shaped by the political landscape of her home province, her Russian roots, and a passion for life-long learning that has been woven both formally in educational institutions, and informally through travel, voracious reading, the belief that each person has a unique story to tell, and a near obsession with the outdoors, be it in the forest, on a lake or a mountain. Regardless of who she is working with, Anna is committed to supporting those she leads, by providing them with opportunities to set and meet their goals. Her guiding questions in both her professional and personal life are: “why am I doing what I am doing and how is that practice supported through research, experience, an ethic of caring, and wisdom?” Having moved to Ottawa in the fall of 2014, Anna continues to look for ways in which she can make a meaningful contribution to the community, using the skills she has acquired in the journey that is her life. We all have a story to tell and very often the stuff/things/artefacts that surround us–the telephone bills, the drawer full of photographs, the stained carpet, the books on our shelves, forgotten stamp collections, old cutlery, our aunt’s moth-eaten teddy bear, your neighbour’s dog leash, a book collection, old recipes–the things we take for granted, are the very seeds of writing and curating our life stories. Whether you are a pack-rat or a neat-freak, this workshop will equip you with a safe space in which to begin writing these stories, as well as weekly prompts to encourage you to continue writing on your own between classes. This workshop will provide participants with the skills to feel comfortable while communicating during a trip to Italy or in an Italian environment. This workshop will teach you how to introduce yourself, make hotel reservations, ask for directions, make a phone call, write an email, order in a restaurant, and face emergency situations. Two field trips will familiarize participants with Italian food products in an Italian shop, and with conversing and ordering in an Italian restaurant. Audiovisual materials about Italian culture, music, and daily life will also be a part of the workshop. Vi aspettiamo! February 11th class will take place at the regular time at La Bottega Nicastro, 64 George St.
February 13th class will take place 12:00 – 1:30 p.m. at Mamma Teresa Ristorante, 300 Somerset St. W. An additional flat fee of $26.00 (HST included) is to be paid at the restaurant. 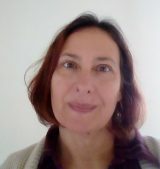 Lecturer biography: A native of Naples, Italy, Carla Bonora has a Masters in History and Philosophy from the University of Naples. She is a journalist and has worked at the European Commission in Brussels, as well as for “Il Mattino”, the main newspaper of Naples. She also worked as an Ottawa correspondent for the Italian Canadian newspaper “Il Corriere Canadese”. She is an experienced teacher, having worked both in Naples and here as an Italian teacher. She has taught Italian Language and Culture at “Retraite en Action” in Ottawa since 2014. She is a member of the Board of Ottawa’s “Dante Alighieri Society”, and President of the Canadian Association “Friends of the Certosa of Capri”. Carla is a passionate traveller and she loves to cook Italian food. This workshop uses the topic of Sardinia to practice and improve Italian language skills, which are preferably already assessed at B1 (low intermediate) level. While learning and speaking the Italian language, we will also be getting to know more about Italy’s (and the Mediterranean’s) second-largest island, which has a strongly recognizable natural and cultural landscape. Sardinians are Italian, but they also feel proud of their identity made up of a language, a flag, music, dances, scents and sceneries distinctively their own. Through a variety of sources like literary texts, podcasts, virtual tours, maps, video clips, and guided activities of comprehension and production, each lesson will be centred on a specific theme and will provide suggestions for a wider and deeper exploration of that theme. Wondering if you are at level B1 in Italian language? See this self-assessment document. Workshop fee includes printed materials. 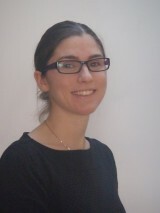 Lecturer biography: Ms. Cristina Loi is a visiting instructor from Italy. She started teaching Italian at Carleton University last winter term. She is here in Ottawa on a joint project of the Italian Ministries of Foreign Affairs and Education. This project promotes and supports the knowledge and appreciation of Italian language and culture, in partnership with Italian studies departments of universities around the world.